As Shoppers Drug Mart awaits approval to sell medical marijuana in its stores, its employees – along with those employed by the chain’s owner, Loblaw Companies – have learned that their benefits plan now includes medical marijuana coverage of up to $1,500 annually. An internal memo from Basil Rowe, senior vice-president of human resources at Loblaw Companies, indicated that claims to insurance provider Manulife “will be considered only for prescriptions to treat spasticity and neuropathic pain associated with multiple sclerosis and nausea and vomiting in chemotherapy for cancer patients,” according to the Toronto Star. “These are the conditions where the most compelling clinical evidence and literature supports the use of medical marijuana in therapy,” Loblaw/Shoppers representative Tammy Smitham told the publication. She added that the company will continue to watch out for and review evidence of the substance’s application to other conditions. Typically, drug plans don’t include coverage for cannabis because it has not yet received a drug identification number from Health Canada. “To date, coverage of medical marijuana under group insurance plans is extraordinarily rare,” Manulife spokesperson Anne-Julie Gratton told the Star, not commenting specifically on Shoppers. The Loblaw/Shoppers policy will have plan members pay for the treatment first, after which they can submit a claim to be subjected to a special authorization process, Smitham said. Around 22,000 Shoppers store staff and 3,000 corporate staff will be eligible, as well as 20,000 corporate and store management personnel at George Weston/Loblaw, which includes Weston Foods. “Considering they want to retail it, it would be hypocritical of them not to make it accessible to their employees,” said Khurram Malik, lead cannabis financial consultant at Jacob Capital Management. He also noted that Shoppers/Loblaw would be the largest private sector company to offer its employees the benefit. The drug costs about $7 a gram, according to Malik; an average consumption of half a gram per day would bring its annual cost up to around $1,300. 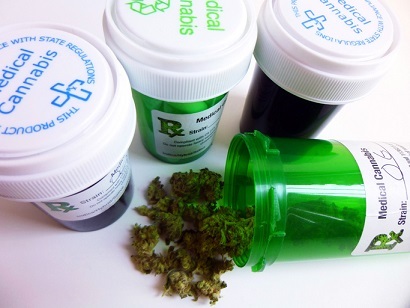 Legally, patients with prescriptions are only allowed to purchase medical marijuana from licensed producers, who would ship it to them by mail. However, some have resorted to buying products from pot dispensaries that have mushroomed over the past several years. “We believe that pharmacists are medication experts and that a pharmacy is a safe and logical option for dispensing medical marijuana,” Rowe said. A Forum Research survey polling Canadian consumers found 61% in favour of letting Shoppers Mart sell medical pot.